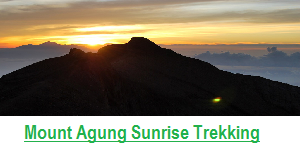 Mount Batur Trekking Trails constitutes one of the most well-known hiking activities in Bali. The trails present a wonderful sunrise and uniquely exciting experience during the trekking trip. Have you got any interest or plan to make an adventure over this mountain? If so, you need to read these 6 Things You Have to Know before deciding to go for Mount Batur hiking trip. This factual information will be very useful for your consideration. Both experienced and adventurous travelers and beginners will find this information worthwhile. Mount Batur constitutes one of the active volcanoes in Bali. Up to now Mount Batur is still active even though it is in a very small scale. Based on the results of a team of volcanologists who have made recordings, the number of vibrations of small volcanic eruption is dozens every single day. So, do you still think that Mount Batur Trekking Trails is dangerous to do? Although it is still considered an active volcano but almost no large-scale eruption that has taken place during the last decade and a half. Even if there are still volcanic vibrations as recorded by seismographs, they are only small vibrations that do not even smoke. For those of you who are still afraid to be exposed to a flow of lava eruptions during the hiking trips, then you do not need to worry because you will not find it. 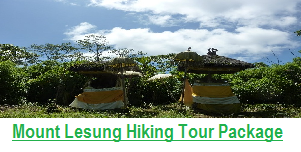 For more evidence, you can also read the reviews of Mount Batur Trekking Trails from the travelers who have experienced the trails. If you think that the activities of climbing Mount Batur are very exciting and easy adventure with breathtaking views, then you will be slightly disappointed. 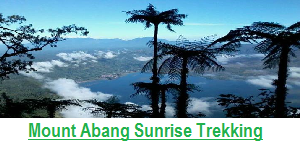 Mount Batur Trekking Trails that start early in the morning or at dawn at least, will be very dark and really dark. During the ascent to the top you will not find any beautiful view because you will see only the darkness of the tropical night. If you’ve decided to make the climb to Mount Batur then you should prepare a flashlight as one of the compulsory equipment you should take with you or make sure that a trekking company has prepared it for you. A head flash light is another option for you to bring. 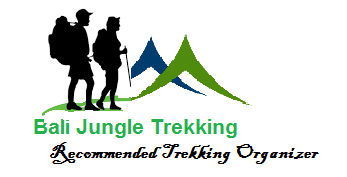 A walking stick is another gear that you should bring as it will also be very useful both when climbing up and down the mountain. If you wish that you will always enjoy seeing the sunrise, then you can be disappointed. For those of you who are less fortunate, when you arrive at the summit, the areas all around you will be covered with clouds. Not infrequently clouds cover the summit of Mount Batur, so you can not watch to witness the view of the beautiful sunrise in the summit of Mount Batur. But if you are lucky enough then the clouds would cover the bottom of the active volcano and you will see the wonderful sunrise so beautiful plus a view of the caldera cloud cover down there in a distance from the top. Therefore, experienced local guides are needed to give you information about the best time and route to go trekking in Mount Batur. 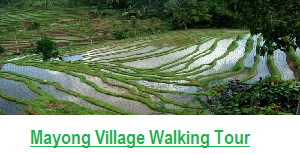 You should also be enough knowledgeable about the tropical weather condition in Bali. One of the exciting experiences during Mount Batur Trekking Trails is that you will have the chance to feel the warmth of the naturally poached eggs on a hot steam at the summit of the Mountain. Because the volcano is still active, hot steam will always appear each morning that can be used to boil some eggs for your breakfast. This experience will be more unforgettable when you can captures some photos and shoot videos to bring home. So, remember to bring your camera. 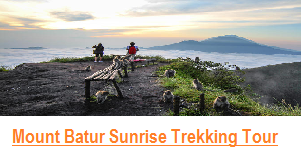 Last but not least is the weather condition or forecast of Batur trekking trails. During the ascent you might get sweat and feel hot. However, you will not feel so hot anymore at the top of the volcano. If you’ve arrived at the top before the amazing sunrise, then you will have more free time to take a good rest while you will be waiting for the magnificent sunrise to appear in the horizon. But as time passes by, you will gradually feel cold. The temperature at the summit of the volcano is very cold; therefore you should prepare suitable clothes so that you are able to enjoy the climbing that you do and also the amazing sunrise. Those are the 6 Things You Have to Know before deciding to make a hike on Mount Batur Trekking Trails. 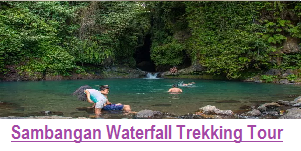 Please be sure to read it first so that you might prepare everything very well and get your best hiking adventure for your holiday in Bali.